Ms. Daher joined Colombo & Hurd in 2018 and practices in all areas of Immigration Law. 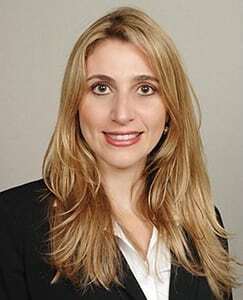 Ms. Daher is licensed to practice law in the United States as well as Brazil and is a member of both the New York and the Brazilian Bar Associations. She initially obtained her law degree in Brazil, from Faculdades Integradas Barros Melo. Subsequently, Ms. Daher obtained her L.L.M. in International Comparative Law from the University of Miami School of Law. Ms. Daher is fluent in English, Spanish and Portuguese. A native of Brazil, Ms. Daher has first-hand, personal experience with the complexities of the U.S. immigration system, which has provided her with a unique and intimate understanding of the challenges faced by immigrants and the impact on their lives. She recognizes the important role that immigrants have had in building America’s prosperity and enjoys aiding them in building new lives for themselves. Previously, Ms. Daher was an associate attorney at a prestigious law firm in Brazil, where she provided legal representation in business and immigration law to foreign companies and businesses who conducted business in Brazil.